What was discussed during the meeting about the territory of Impruneta? “Zero kilometres, Sustainability, Living well” Each company introduced itself to the Turin public describing their work. Slow Food Toscana’s invitation to participate was aimed at a representation of selected companies, the policies of which are consistent with the values of Slow Food. 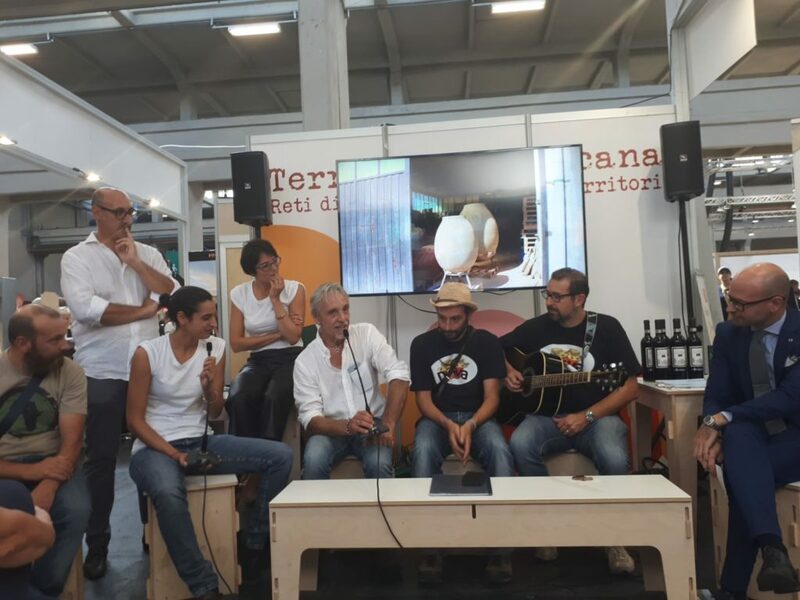 They were: La Querce (wine producers) belonging to Marco Ferretti, The “Antico Frantoio Doglia (Olive press) and the “Formicola” (the “Ant”: Organic fruit and veg producers) of Riccardo Lupino and last but not least Artenova of Leonardo Parisi”. How are these companies related to the values of Slow Food? “The title of the meeting was “From Brunelleschi to local agriculture, between tradition and innovation” We wanted to start from Brunelleschi, a great user of local terracotta, in order to emphasise that we are witness to a change in which the new is in actual fact “the old” or rather, it’s the old that is now being re evaluated. The latest innovation is in our way of seeing agriculture and the new mentality is that by respecting and valorising your territory you can express yourself”. So innovation begins from the territory? “Creating a community where each company, is part of its territory (and traditions) and not something that exists for itself alone, is fundamental to change the system”.